A high fantasy MMORPG. Black Desert is a debut project of the Korean studio Pearl Abyss, created in cooperation with the industry veteran, Dae-Il Kim, creator of RYL Online and Continent of Ninth. Black Desert is a MMORPG set in a fantasy world. This is the debut project of a Korean studio, Pearl Abyss. The studio, although new, employs industry veterans only. First of all, thelead designer of the game is Dae-Il Kim, who served the same role in the production of RYL Online and Continent of the Ninth. The action takes place in a grim fantasy world ravaged by unrelenting conflict. The game starts with creating your own character, choosing between several diverse races and classes. The heart of the game is an extensive system of combat. The mechanics of fighting are heavily arcade, and depend on reflexes of the players, rather than the statistics of their characters. We need to aim every blow and arrow, and perform every dodge. In combat, we use, among others, swords, spears, axes, bows, crossbows, and spells. We can also fight on horseback and other kinds of mounts. What is more, we can combine attacks into combos, which will increase the damage dealt further. Black Desert offers one big virtual world on each server, devoid of instantiating. PvP plays an important role in the game. Sieges of fortresses are especially interesting in which we use, among others, mobile towers, ladders, cannons and catapults. The authors also made sure that an extensive virtual economy system is present. The players can collect materials, trade, cultivate the fields, build factories, hire NPCs, craft items, and purchase and manage estates. As a result, the users get the opportunity to have a break from the fighting and fill up their sacks of gold. 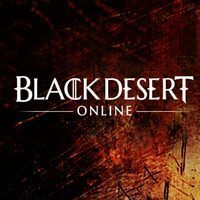 Black Desert Online guide has been divided into two parts, thanks to which you can easily find items of your interest. The first pages constitute a basic description of the game.